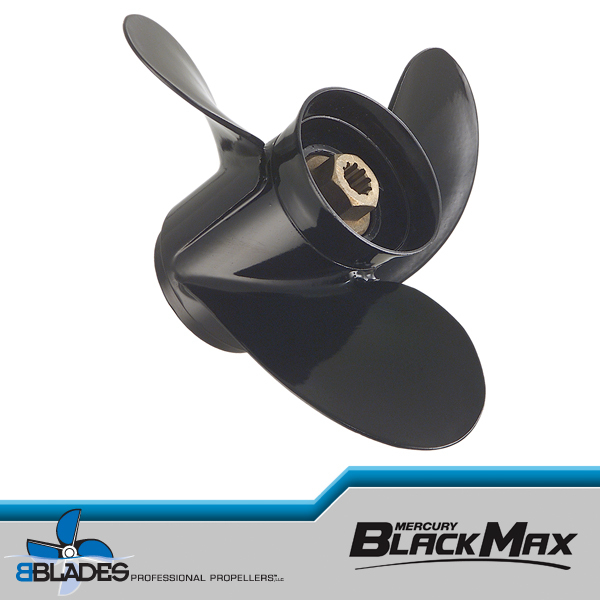 Designed for use on heavier boats high HP diesels. 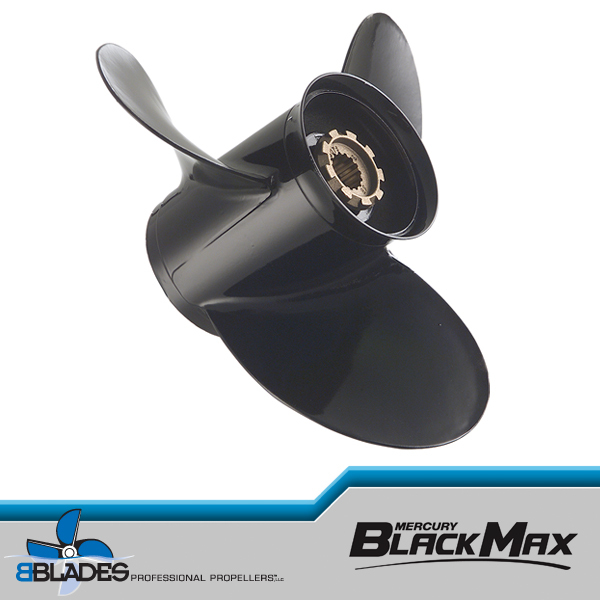 A large diameter four-blade front propeller coupled with a smaller, three-blade rear propeller provides unmatched acceleration, tracking and handling with diesel applications. 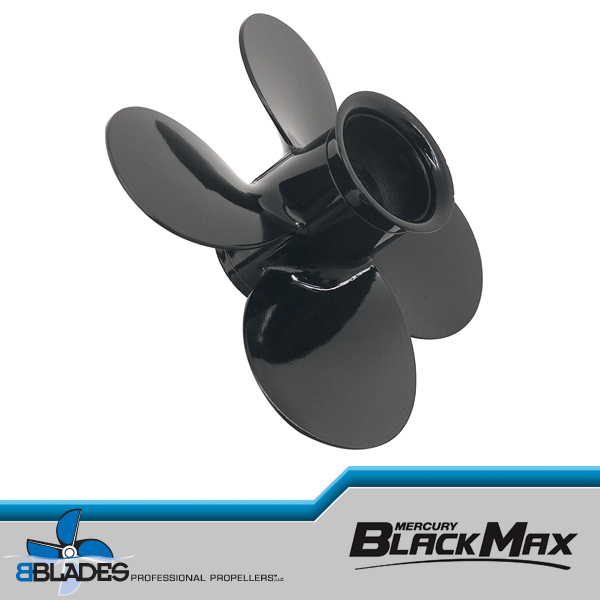 Extra cup built in to the trailing edges of both front and rear props captures the torque generated by today’s turbo charged diesel engines. 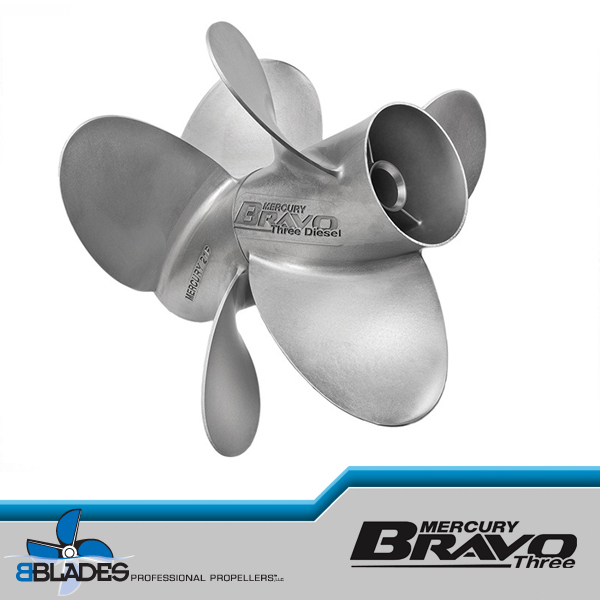 Best performing propeller for modern diesel engines matched to Bravo III drives. 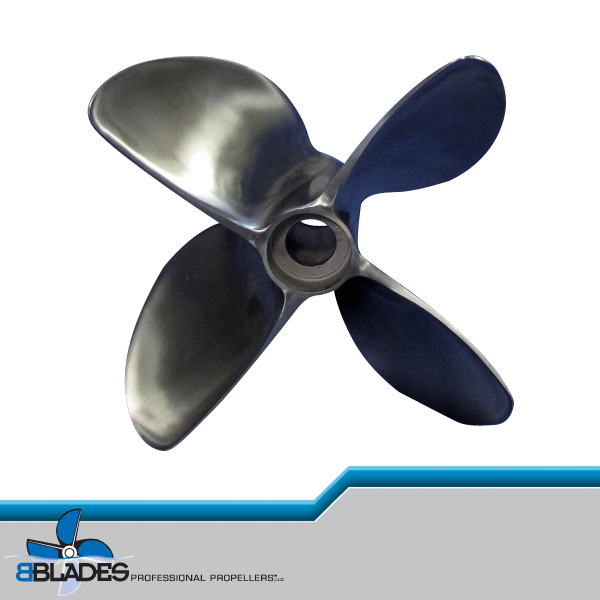 Left-hand, 4-blade forward and right-hand, 3-blade rear propellers. 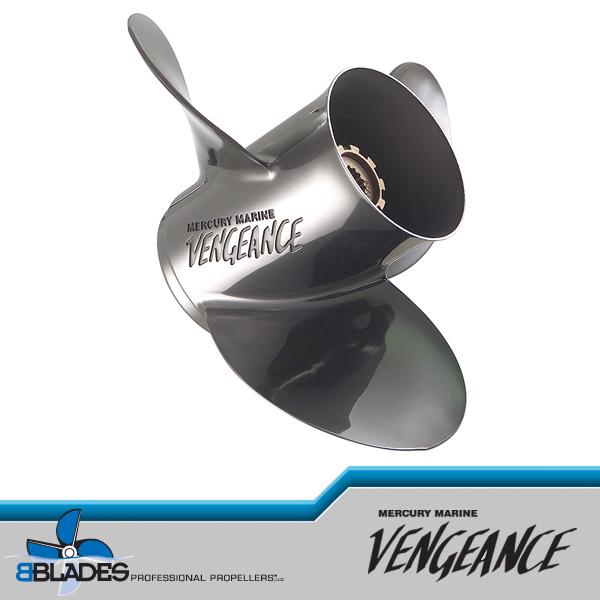 Enhances blade cup for improved planing performance and fuel economy. 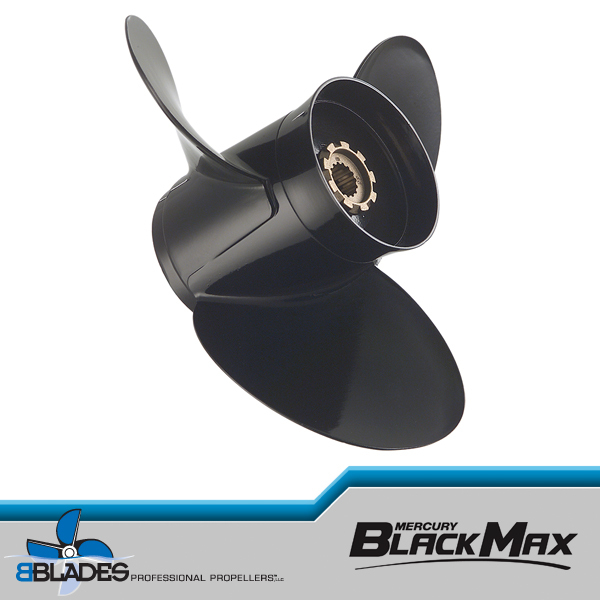 Recommended for 2620-350 HP diesel engines. 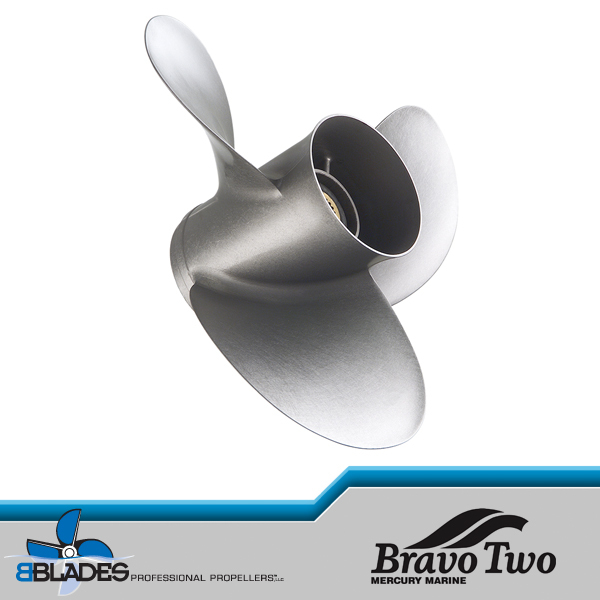 For use on standard Bravo Three, Bravo Three X and Bravo Three XR drives. 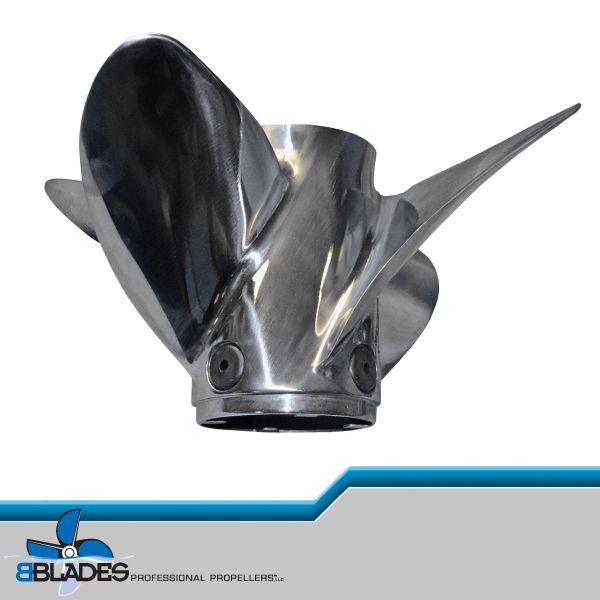 Sets available in 21″ to 27″ pitch in two inch increments.